Hello everyone, this is my first blog hope you will enjoy reading it. I am going to talk about something that I do in my free time. I love engaging with young people to promote computing and engineering. 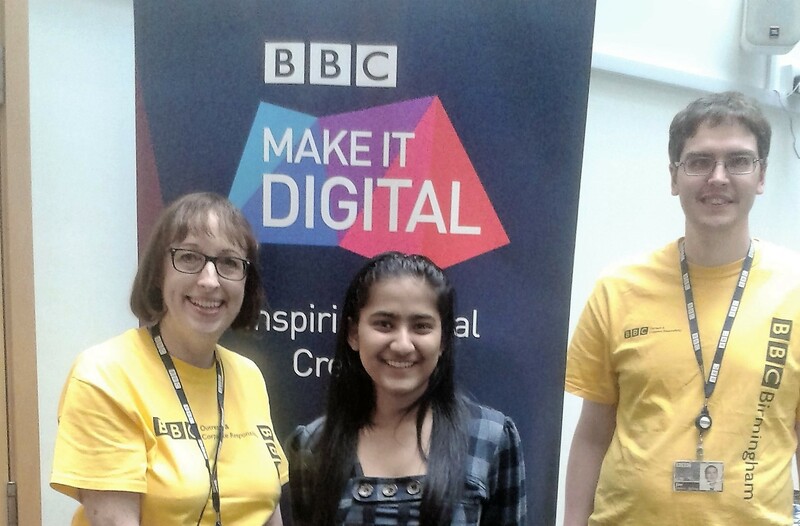 As I am a STEM ambassador, I started mentoring at the BBC ‘Make it Digital’ coding club. This club is mainly for kids under the age of 19 with an interest in computing. Make it Digital initiative by BBC is a national campaign to inspire a new generation of coders and programmers. 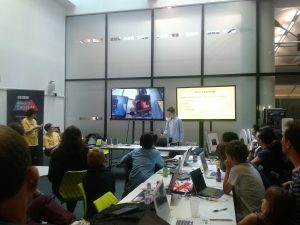 Over the summer BBC was holding a Micro:bit challenge. They gave away the ‘Micro:bit’ hardware to all the kids to develop their own project. The BBC Micro:bit is a pocket-sized computer that can be coded, customized and controlled to bring digital ideas, games, and apps to life. I was really excited to be part of it and enjoyed the opportunity to mentor these enthusiastic kids. There was a variety of options that the participants can build their project on. Some of the kids were working on the character building using HTML and CSS. However, some were using python on raspberry pi to develop an interactive game. One particular project was on developing a prototype for a LED based automatic home lighting system, designed to save energy which was quite fascinating. There were several other interesting projects which included Digital Dice, a communication system for transmitting Morse code etc. As summer was coming closer to an end, 3rd September 2016 marked the final day of the challenge which included presentations from the participants, judging and prize giving. One particular seven years old girl did steal the show, she stood up in front of the judges and explained her project so confidently that she not only received appreciation but was also awarded the best project prize in her age category. Who said girls don’t do coding she was such a brilliant example!!! It was really fascinating to see how young kids are interested in computing. I really enjoyed mentoring these kids. This mentoring opportunity helped me a lot to further develop my coding skills. While I was explaining programming to a kid, it helped me to gain a better understanding of that concept. It also taught me how to explain complex concepts in simple terms. I was really enthusiastic to pass my passion and to see how much these kids enjoyed coding. So I will highly recommend other students to become STEM ambassadors and promote STEM subjects to the younger generation and of course these mentoring experiences look great in your CV. My top advice for other students would be to get involve with extra-curricular activities outside your degree. This not only adds value to your CV but also shows employers that you are organized enough to do multitasking.